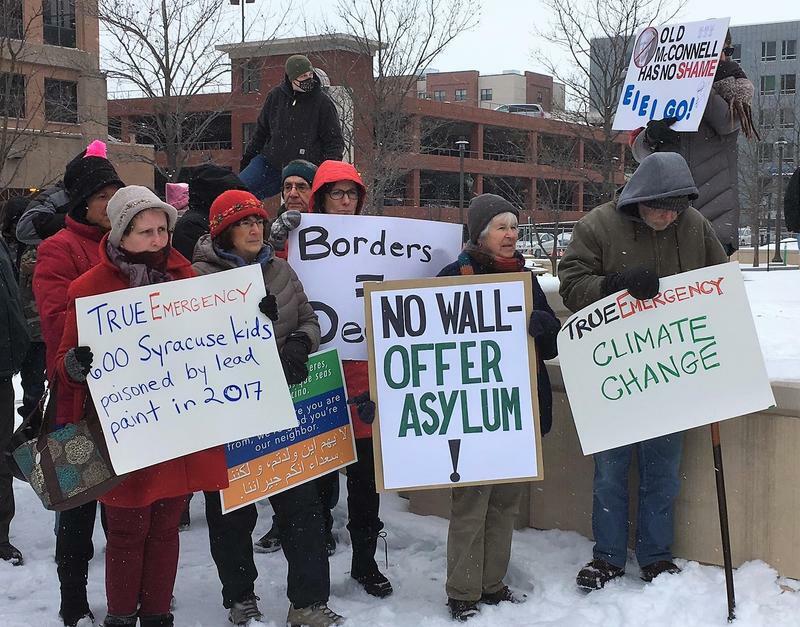 About 100 protesters used the occasion of President’s Day to gather in front of the federal building in Syracuse to speak out against the sitting President. They had a message for President Trump in response to his emergency declaration over a border wall, chanting "no wall," and "fake emergency." One of the protesters was Central New York Area Labor Federation Vice President Kenneth Greenleaf, who implored the crowd to think of the nation's "real emergencies." President Trump is speaking about border security at the White House. Congress passed a compromise spending measure Thursday to avert a government shutdown that includes some funding for the border barrier. 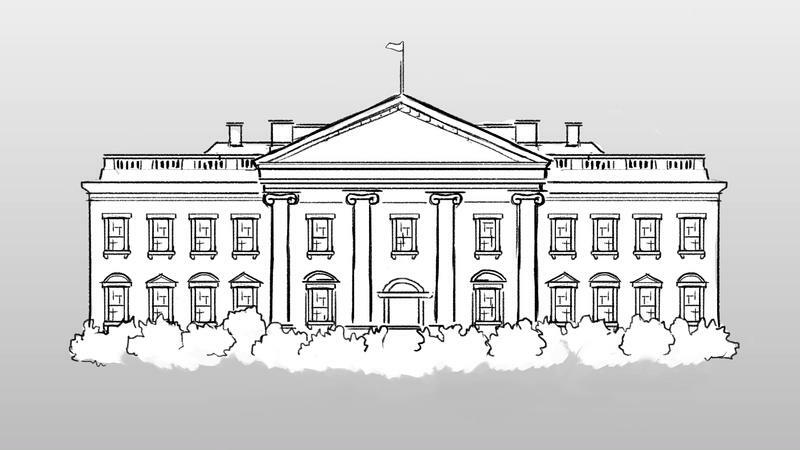 But the White House says Trump will also sign an emergency declaration that will allow him to divert additional funds to build a wall as he has long promised. The President is scheduled to begin speaking at 10:30am. Central New York's representatives in Congress wanted to hear a desire for bipartisanship in President Trump’s State of the Union address on Tuesday night. What they got was a president who spoke of collaboration on some issues, but emphasized other areas of division. WAER spoke with both Republican John Katko and Democrat Anthony Brindisi to get their reactions and to see what it means for Congress going forward. 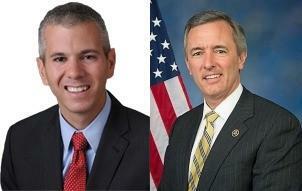 Central New York congressmembers John Katko and Anthony Brindisi had generally good things to say about President Trump's State of the Union Address. The partial government shutdown is on the verge of becoming the longest ever, and GOP Congressmember John Katko says it didn’t have to happen. He has voted with Democrats on five bills in the last week to fund the government…but NOT $5.7 billion for the border wall. 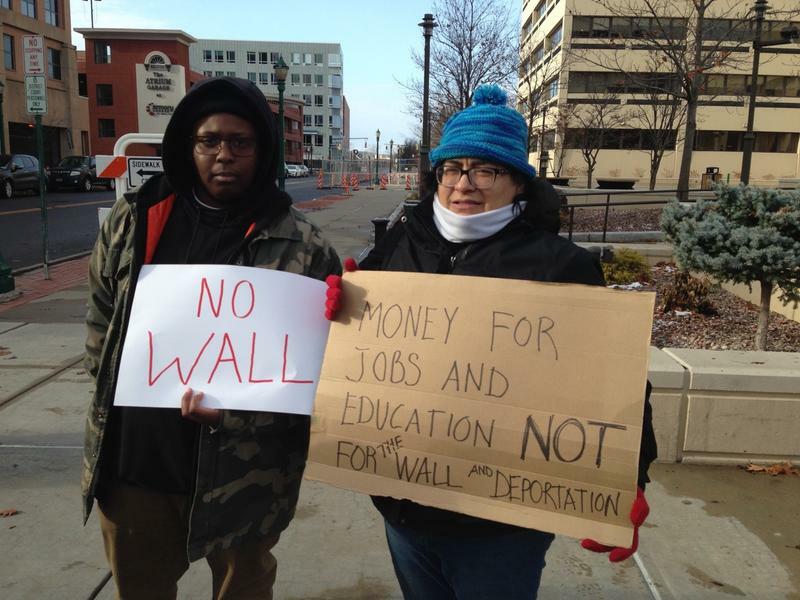 Both Central New York Congressmembers agree the federal government needs to reopen.